The top political aides for nearly every cabinet minister in the Ontario government and more than a dozen of Premier Doug Ford staff meet tonight with business leaders in an event that is being shielded from the public, CBC News has learned. 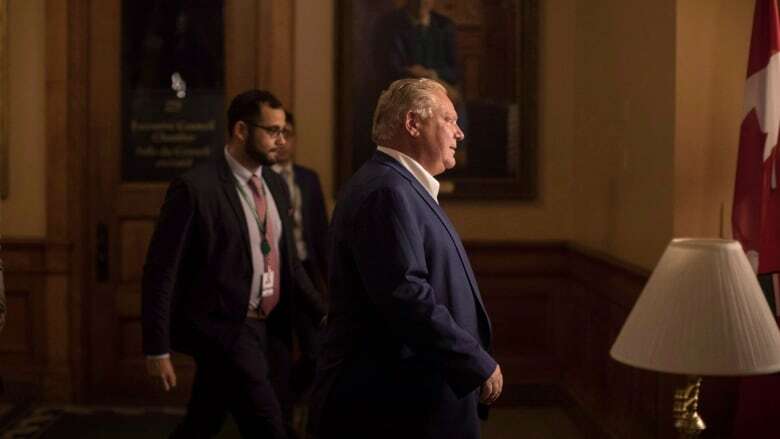 The top political aides for nearly every cabinet minister in the Ontario government and more than a dozen of Premier Doug Ford's staff meet with business leaders tonight in an event that is being shielded from the public, CBC News has learned. The invitation-only event organized by the Ontario Chamber of Commerce is billed as "An Evening With the Chiefs of Staff." CBC News obtained a copy of an email addressed to the business invitees warning them not to post anything about the event on Twitter or Facebook. "We are thrilled to announce that 19 Chiefs of Staff and 13 officials from the Office of the Premier of Ontario will be in attendance," says the email from a chamber employee. Each of the 21 members of Ford's cabinet has a chief of staff, the senior political aide to each cabinet minister. "A reminder that this event is off the record and that no photography will be permitted," the email continues. "We kindly request that you refrain from mentioning this event on social media." The meeting is not open to all of the chamber's 60,000 members but only those in its "premier" membership category. 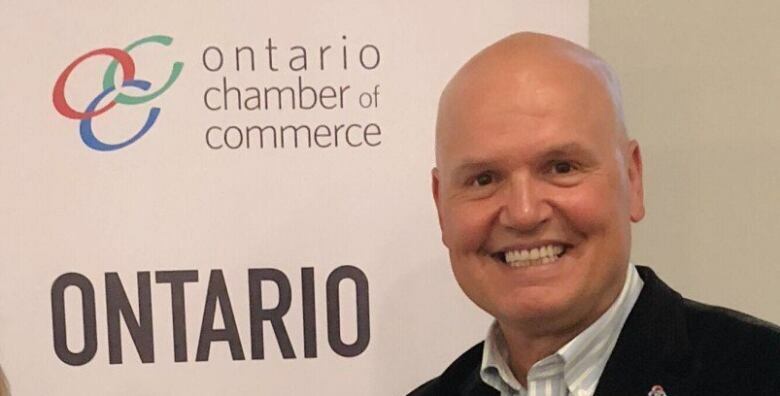 That's because of limited space and high demand, Ontario Chamber of Commerce president Rocco Rossi said in a statement responding to questions from CBC News. "Tonight's event is part of a series of events where our members engage with the Government of Ontario to discuss business priorities affecting every corner of the province," said Rossi. "Attendees are asked to refrain from utilizing social media during the event so that we can provide an environment which facilitates open discussion and dialogue." The chamber said admission is free but declined to say how many people are attending. The venue, on the University of Toronto campus, can accommodate a maximum of 130 people. The chamber was one of the key business groups that successfully lobbied the Ford government to repeal the bulk of the Wynne government's reforms to employment law and freeze the minimum wage. In response to questions from CBC News, Ford's spokesperson did not address the social media blackout, but said senior political staff regularly meet with stakeholders. "The Ontario Chamber of Commerce and its members are an important stakeholder ... whose work touches on all government ministries," said Ford's director of media relations, Simon Jefferies, in a statement. Government sources say the province's integrity commissioner has judged the event to be compliant with Ontario's lobbying laws. Information on the chamber's website indicates that it held three "Evenings With the Chiefs of Staff" when the Liberals were in power. Chamber officials say the social media ground rules were the same. "We will bring accountability, integrity and transparency back to the people of Ontario," Ford said during the first leaders' debate of the election campaign. He repeated that promise almost word-for-word in his victory speech on election night. The meeting itself doesn't bother Green Party leader Mike Schreiner but the way it is happening does. "I'm more concerned about the secrecy," said Schreiner in an interview Thursday. "Obviously political staff are going to meet with stakeholders, they should be meeting with lots of stakeholders. But I find it troubling that they would be conducting backroom secret meetings and not being transparent about it." Coincidentally, Schreiner had a meeting Thursday with Rossi and both men tweeted about it. "This seems very purposely cloak-and-dagger. It seems like the participants on both sides, the government side and the chamber side, are trying to hide something," said NDP leader Andrea Horwath in an interview. "These hidden meetings, these invitee-only, hush-hush kinds of methods, I think it's quite worrisome," Horwath said. "It's not open, it's not transparent, it's not the way governing should happen." Ford is in Montreal on Thursday and Friday for the first ministers' conference. The Legislature was set to adjourn Thursday for the Christmas break. It is scheduled to resume Feb. 19. One of the government's last moves before the adjournment was to table a sweeping omnibus bill amending 18 different pieces of provincial legislation. Called the Restoring Ontario's Competitiveness Act, the bill would eliminate dozens of regulations faced by businesses.